China has announced $1 billion in funding to help farmers fight the country’s devastating droughts, according to The Guardian. The country is facing its worst drought in 60 years right where it hurts the most, the wheat producing province of Shangdong. 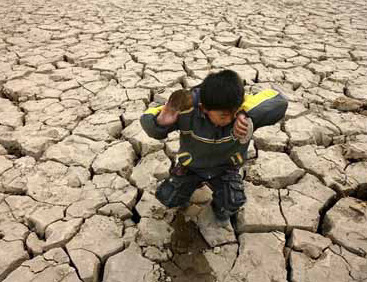 Beyond the impact on the country’s wheat crop, the drought has left 2.81 million people without drinking water, according to Xinhuanet. China is not alone in its wheat crop problems. Russia, after a summer of wildfires, has canceled exports and recent floods in Australia have damaged crops.